I thought that I would share this technique with any of you, who like me, struggle with foiling curved areas like wheel well openings and keeping them straight. I have been using this trick for many years and have found it extremely helpful for all of my foiling, but especially wheel arches. First cut a piece of foil large enough to cover the wheel opening and burnish it down lightly. 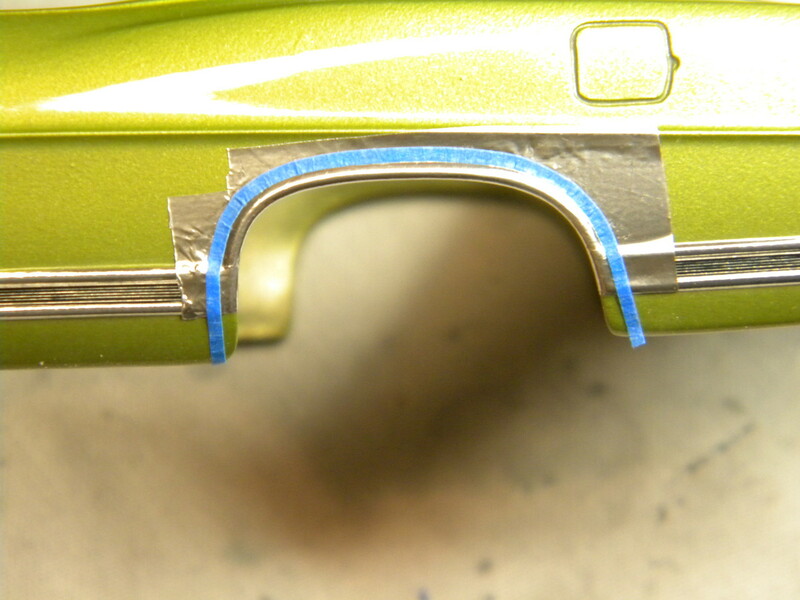 Next, cut a very thin strip of blue painters tape with a straight edge and lay it along the edge of the trim where you want your cut to be. Let this piece of tape be a guide for the tip of your blade to ride up against as you make the cut. 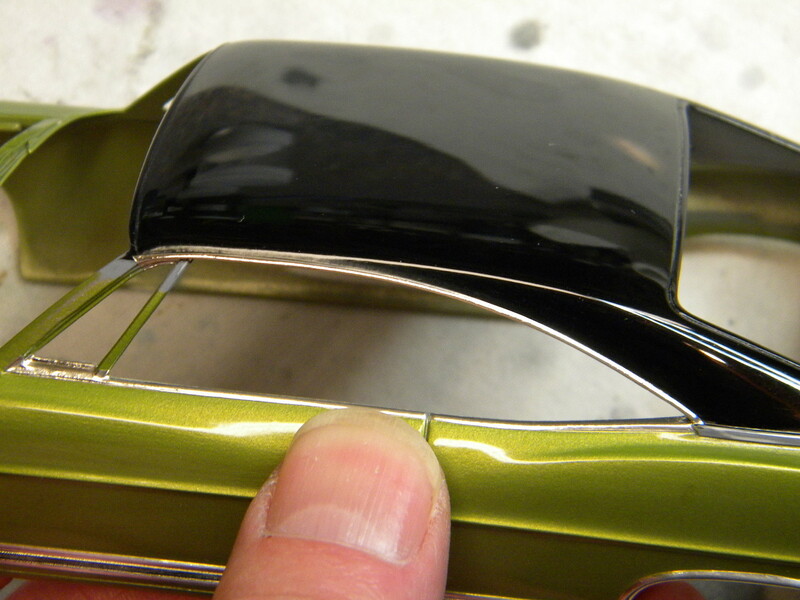 Fairly simple, but it is easier and much more accurate than trying to free hand your cuts. Great tip, and thanks for the visual. This technique works great for all of your trim foiling needs. Great tip! I had asked this question years ago and got no responces to it. I figured out a method that is a bit laborous, but doesn't waste much foil. I am frugile when it comes to BMF. I measure the length of the opening and cut a strip of foil accordingly. Then I slowly and carefully apply the foil strip to the opening. I've never had to use the masking tape method. 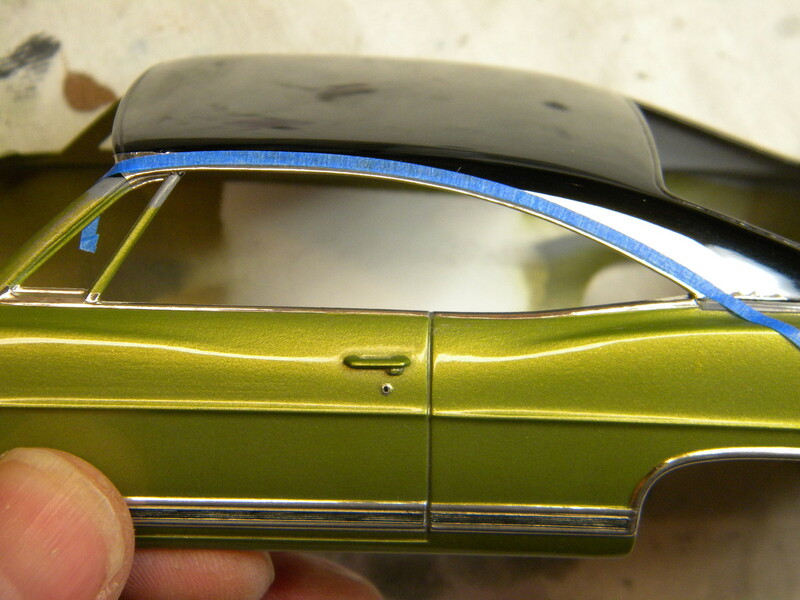 If I ever do, I would put the masking tape on first to avoid burnishing the foil where I don't want it and possibly having to deal with glue residue or even worse, pulling up paint. Sometimes foil will stick the best where and when you don't want it to. Supposedly you can do it that way as well. I like to put the tape on the outside, not only to help guide the blade, but the contrast in color between the blue tape and the blade and foil makes it much easier to see where your cuts are going. Personally, I have never had foil pull up paint. 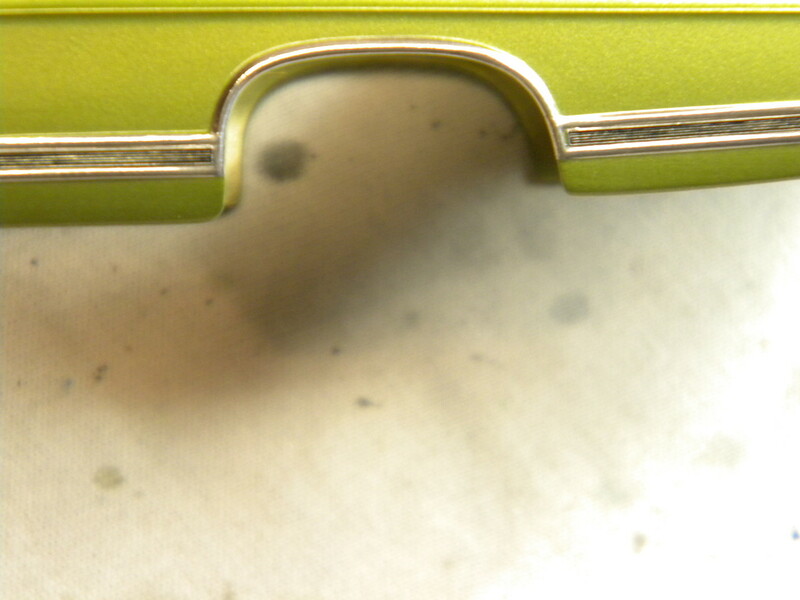 That would be a paint adhesion problem, not a problem with the foil. As far as adhesive residue goes, that is remedied in seconds with a Q-tip dipped in a little WD-40. Great tip and thank you for sharing !! Tried it earlier and works perfect. Never had too much trouble with the old bmf but the new seems to be of lesser quality and this is for sure the cure of stopping that problem in its tracks !! For both the Visuals and the suggestion .Although I haven't done this ,you have given me an idea that has nothing to do with foil or cars .I will try it there ,But, I think it might work well for waterlining boats and ships too ! Neither have I. But, I've seen countless threads asking how to keep foil from pulling up paint or how to remove glue residue from foil. Just saw one on another board recently asking how to keep from pulling up paint. Just saying, those individuals need to work on their paint application skills. This is the type of instance where products such as BMF can get a bad rap for something that is entirely not a product issue. As I said, adhesive residue is an easy one. WD-40 will take it off instantly. Sometimes you have to offer these small tips and just assume that the people that might use them are at least minimally accomplished modelers. We can't always account for every situation or each individual's lack of knowledge. In other words, it's just a tip that has worked exceedingly well for me for years, but use it at your own risk, same as every other modeling technique.